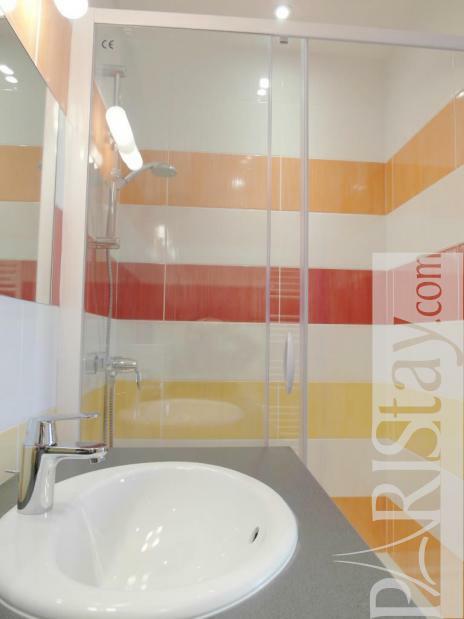 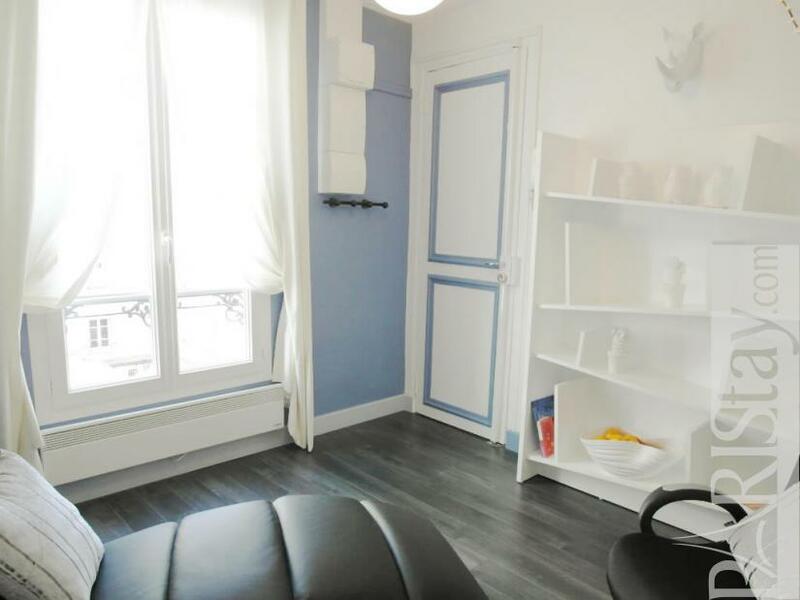 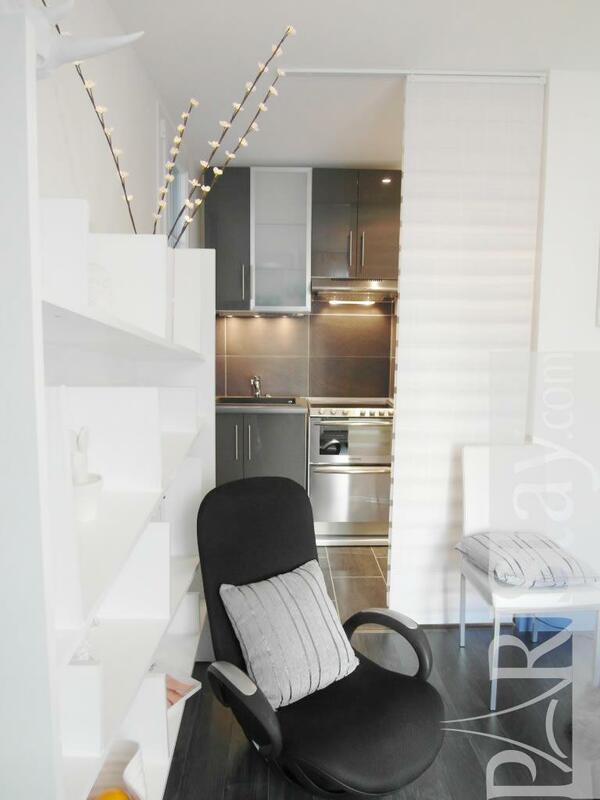 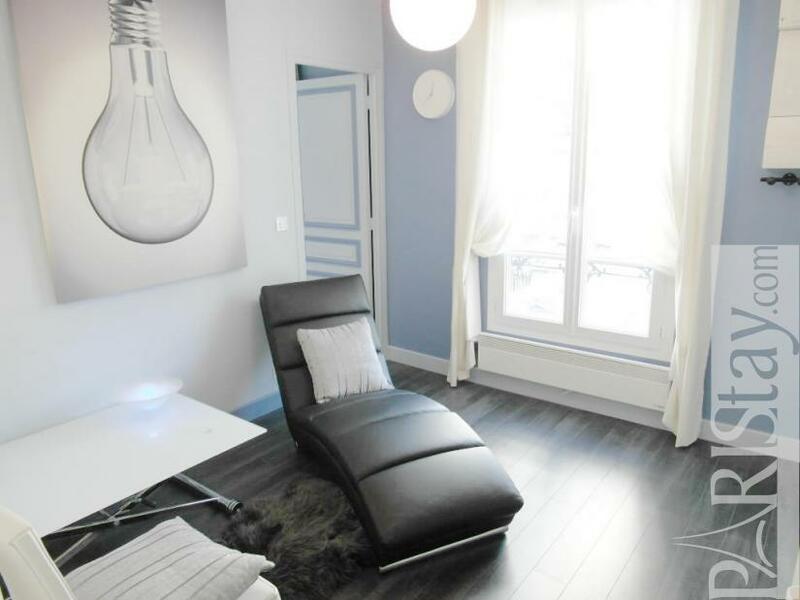 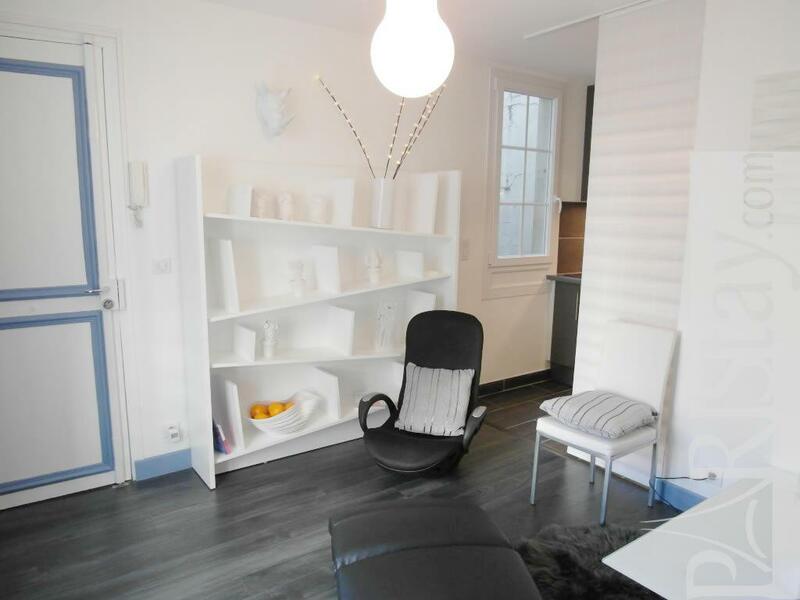 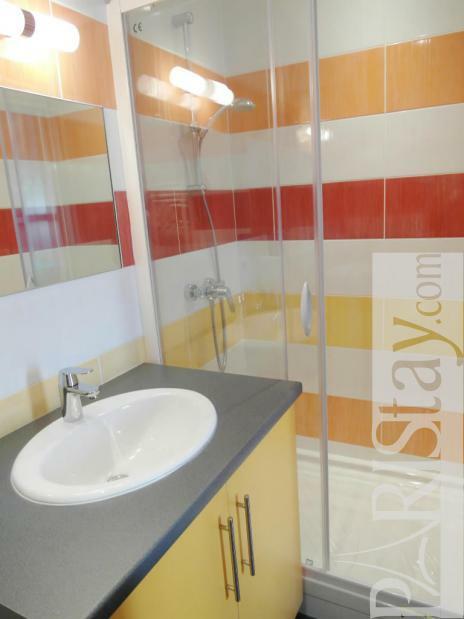 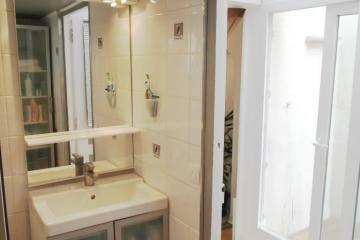 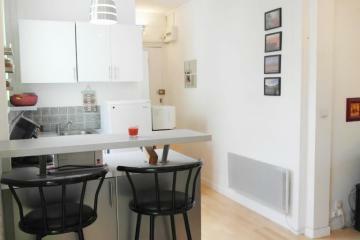 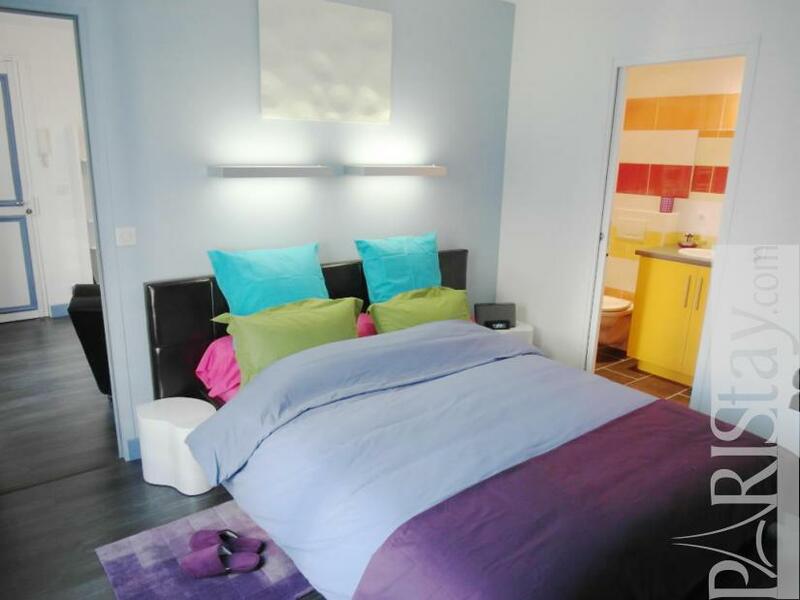 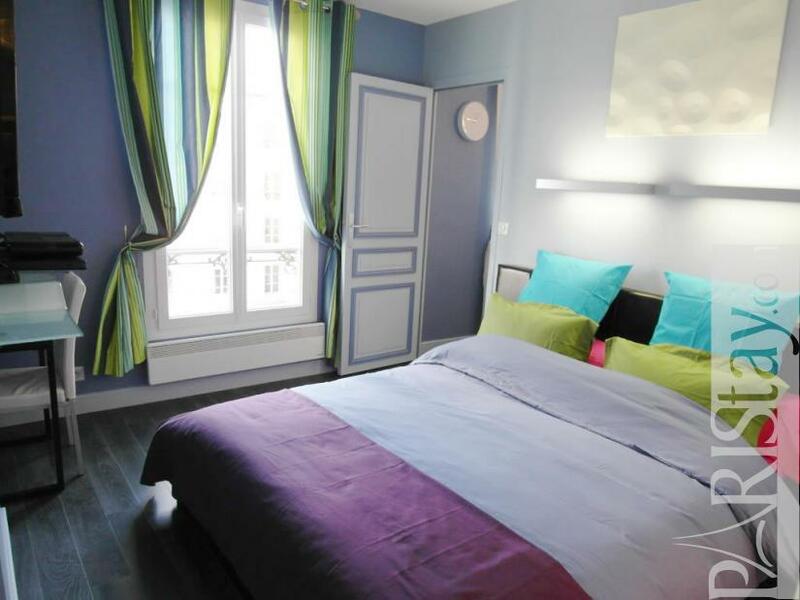 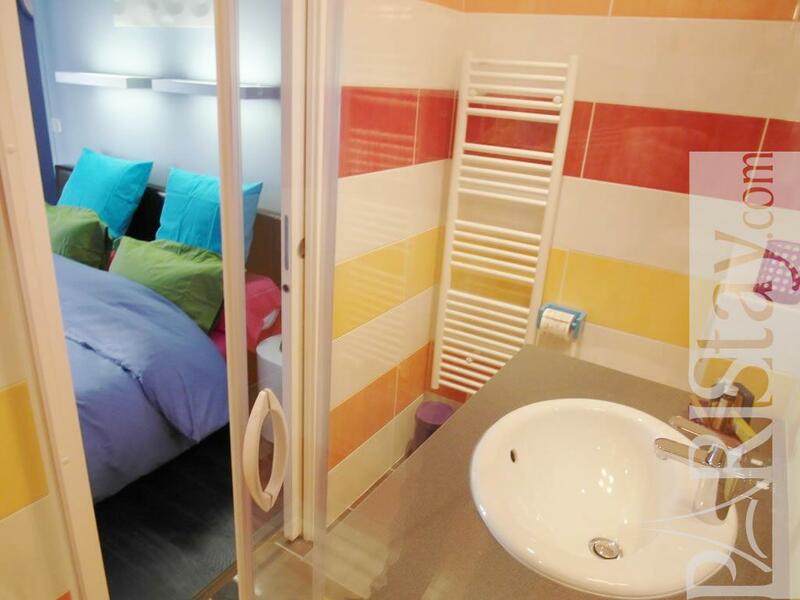 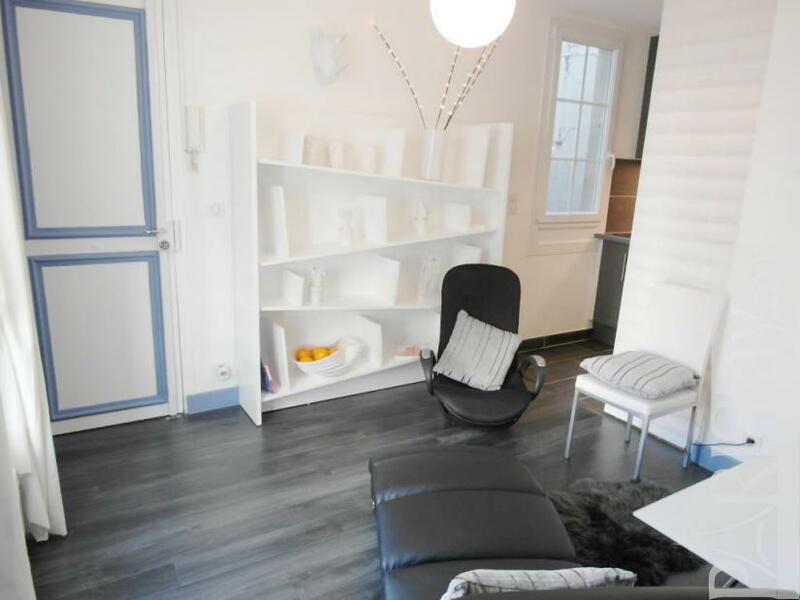 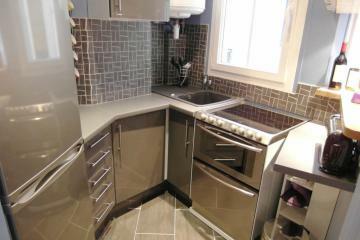 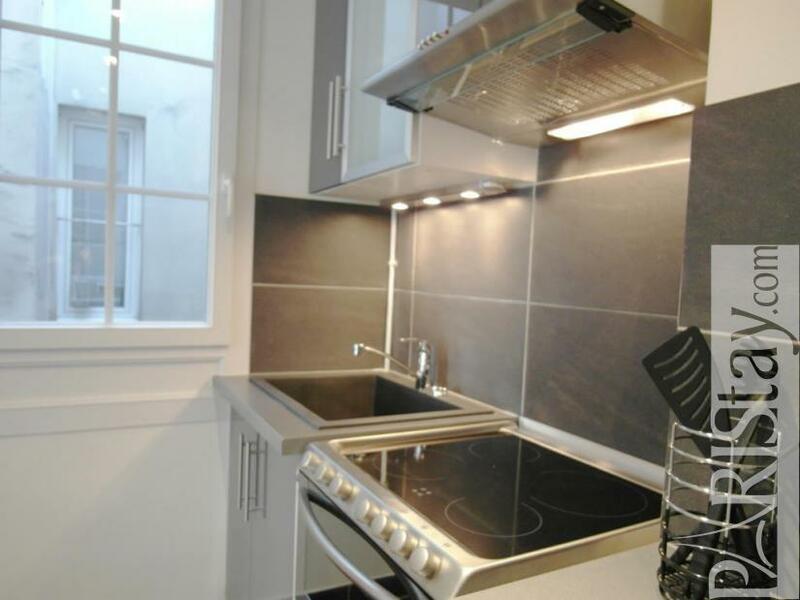 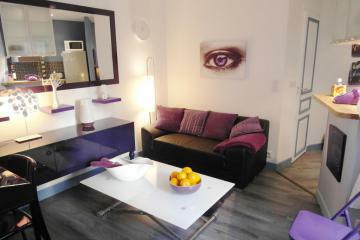 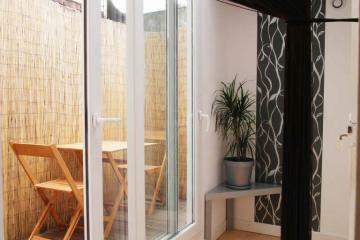 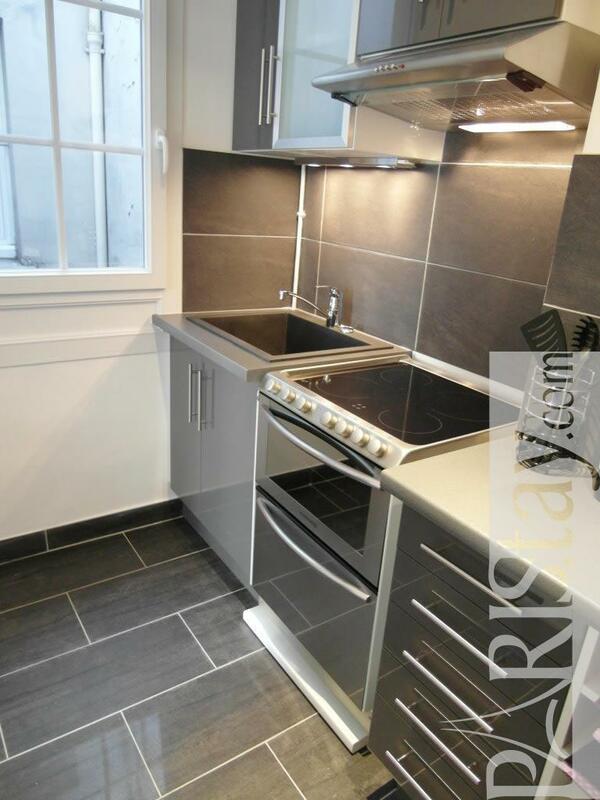 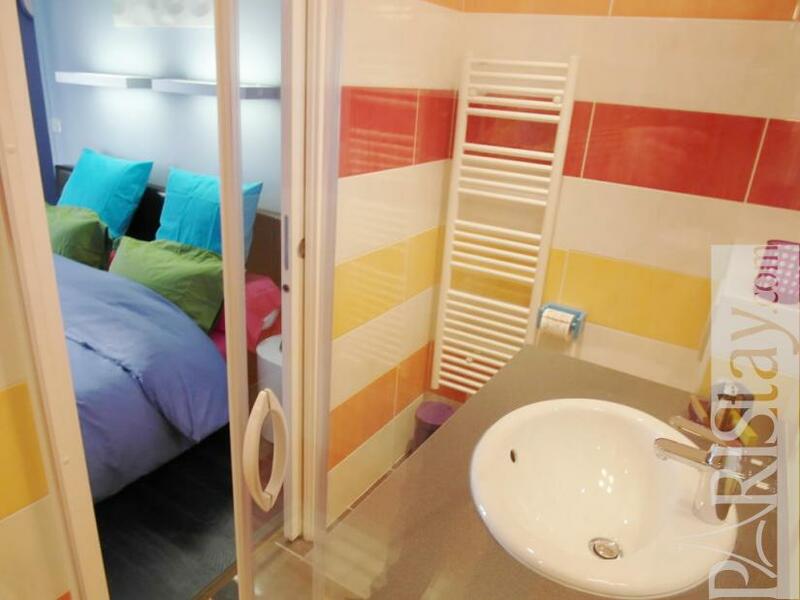 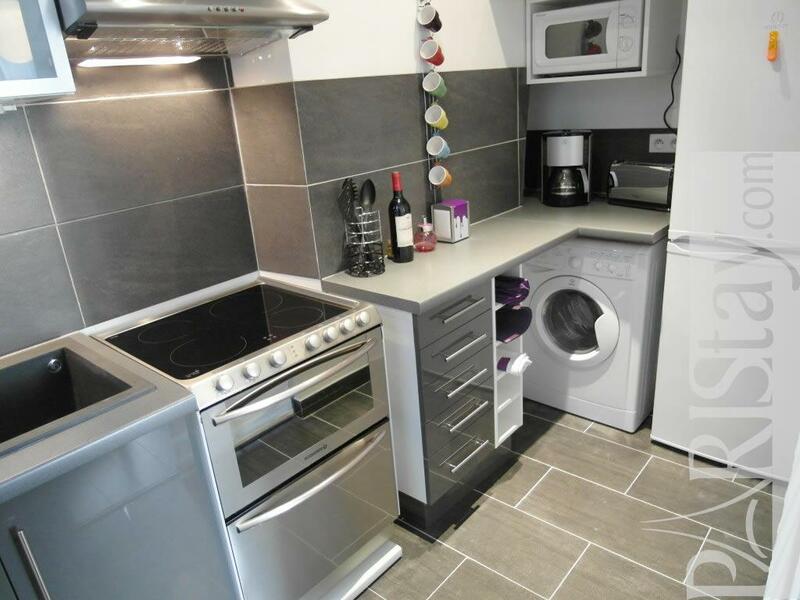 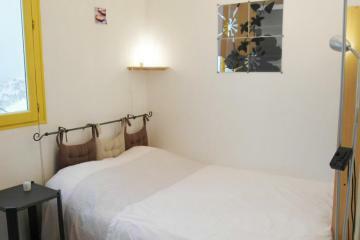 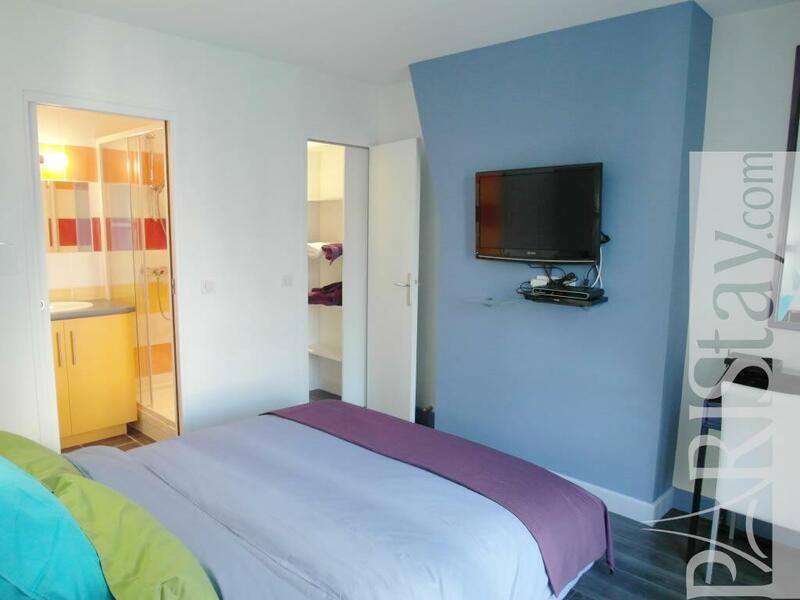 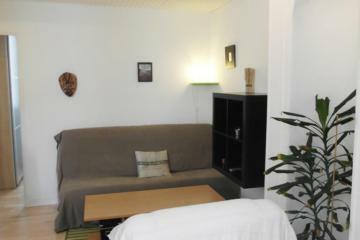 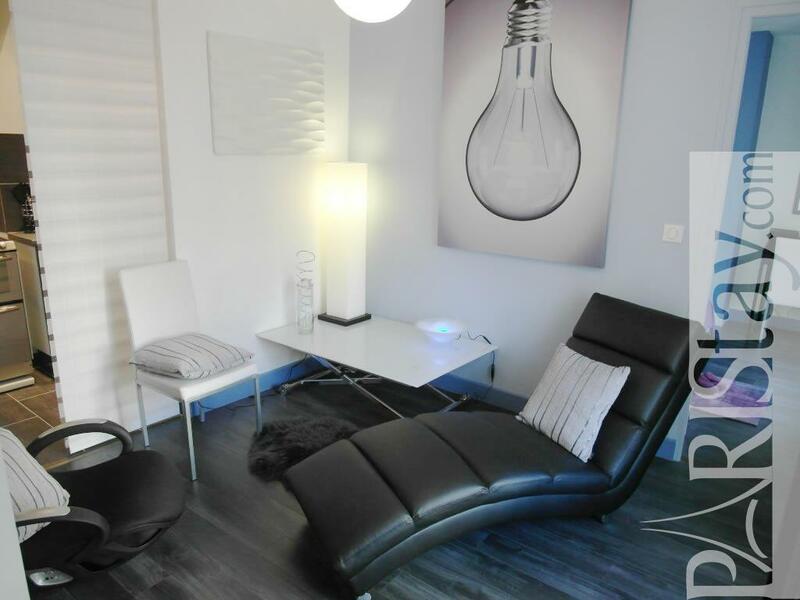 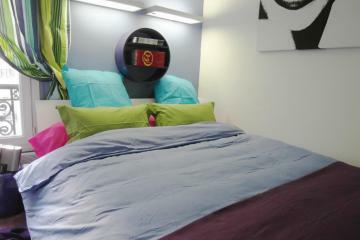 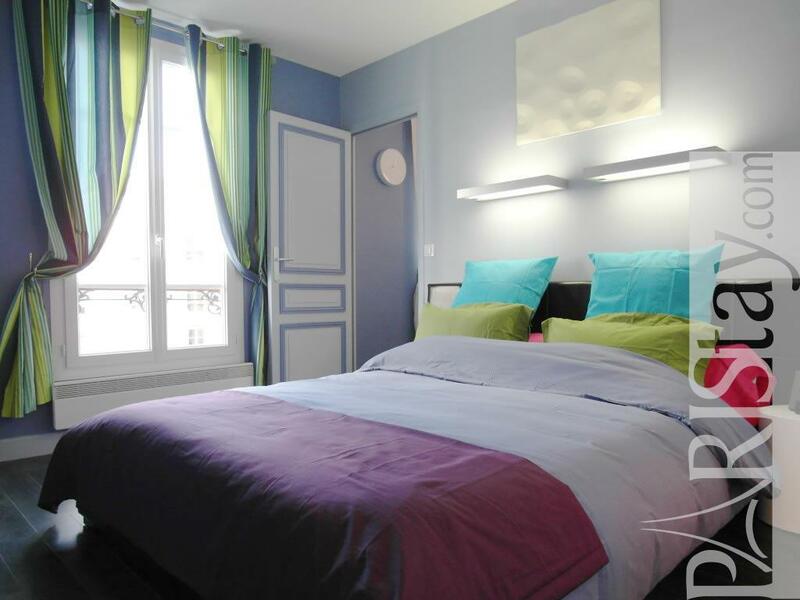 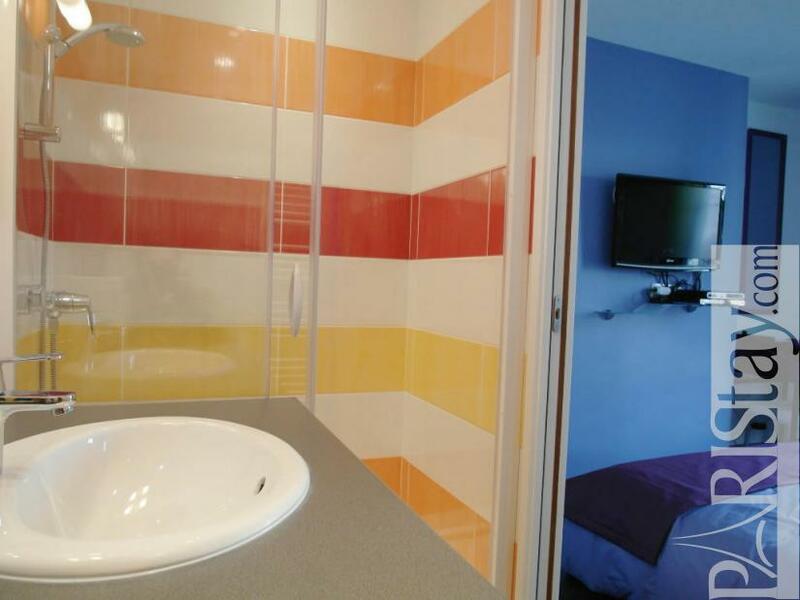 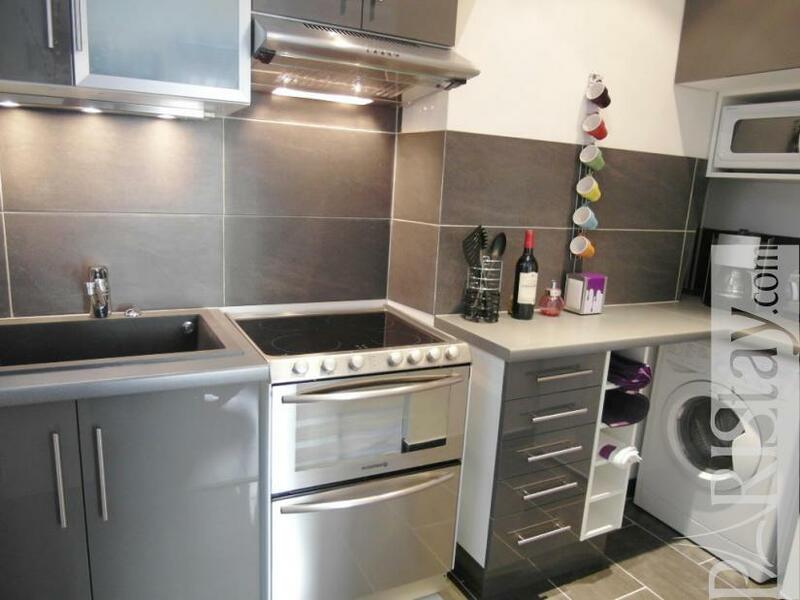 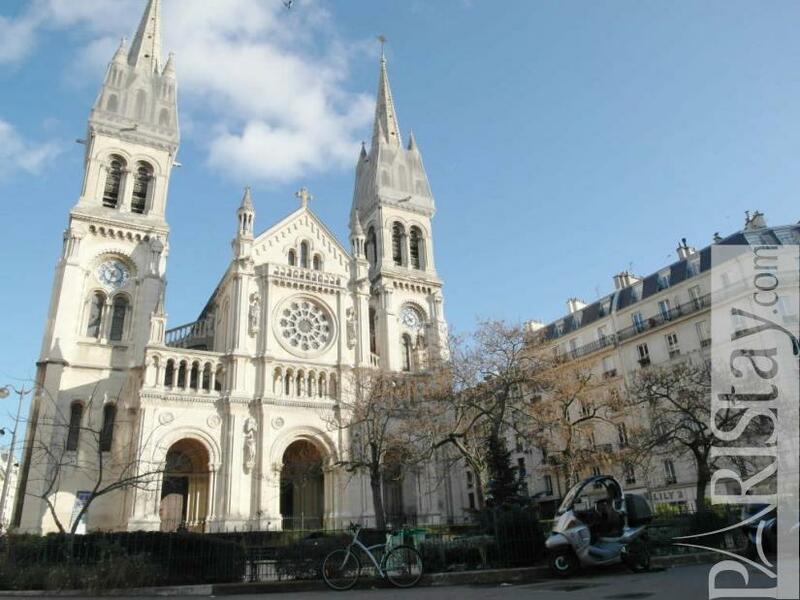 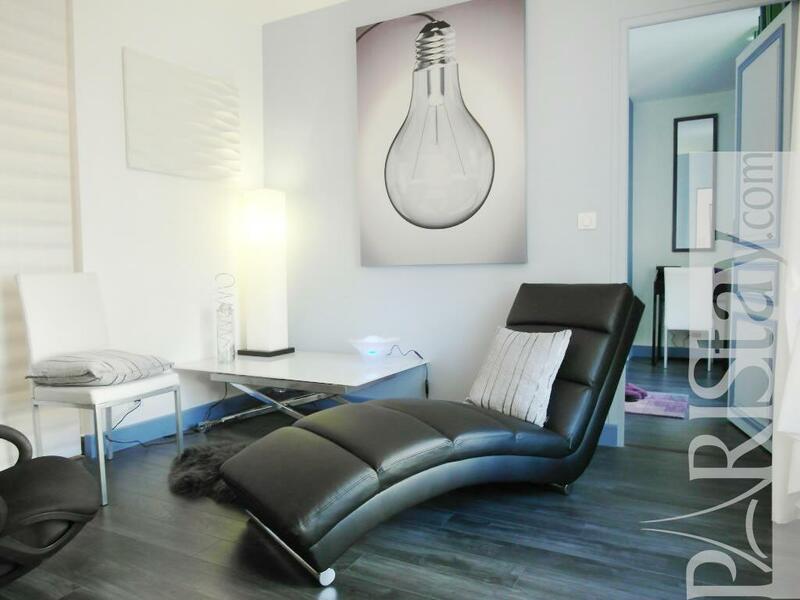 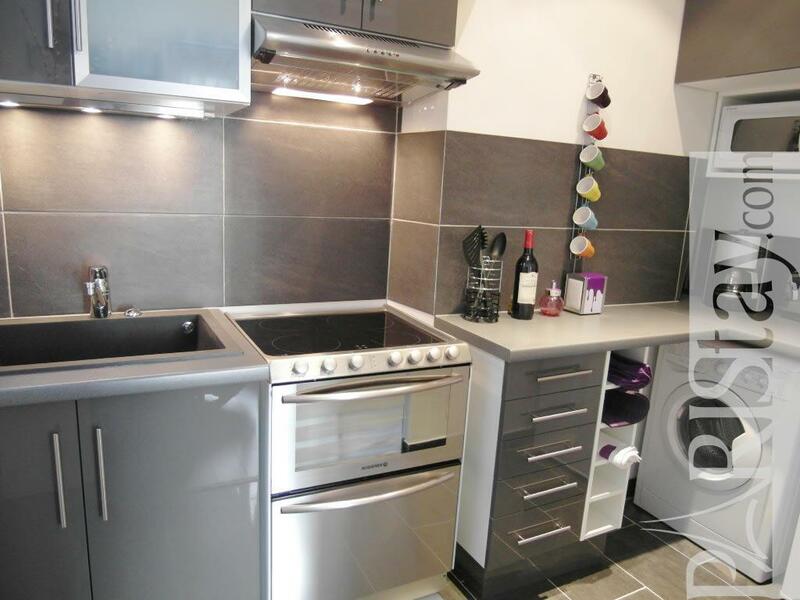 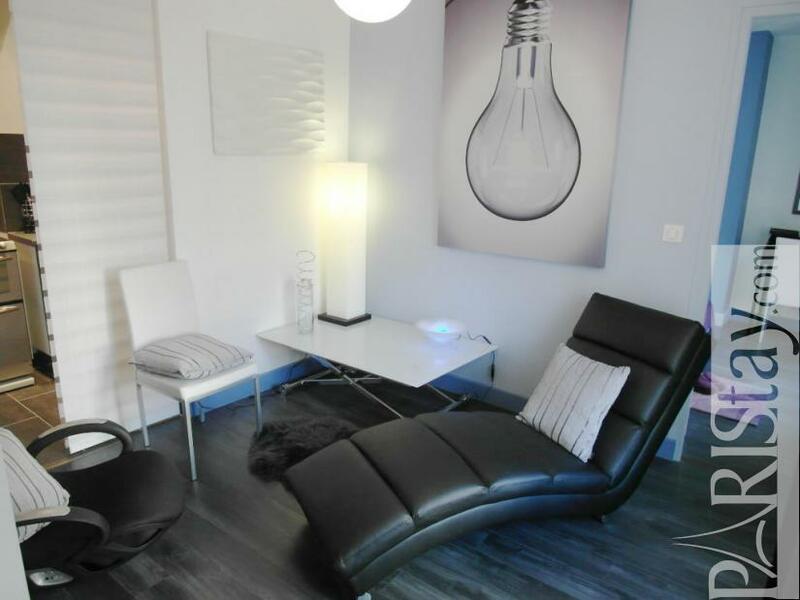 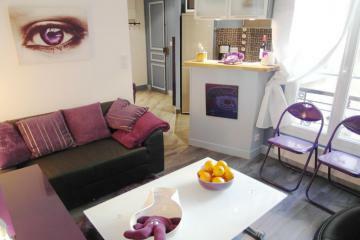 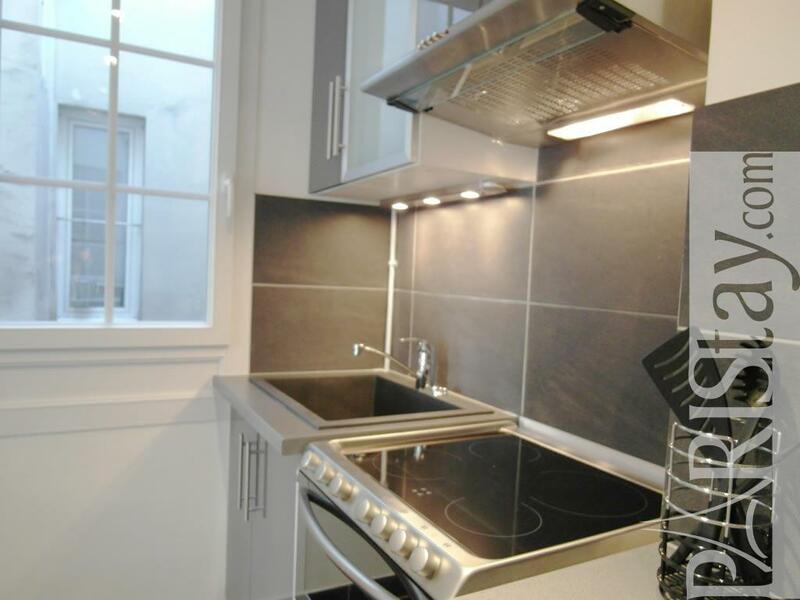 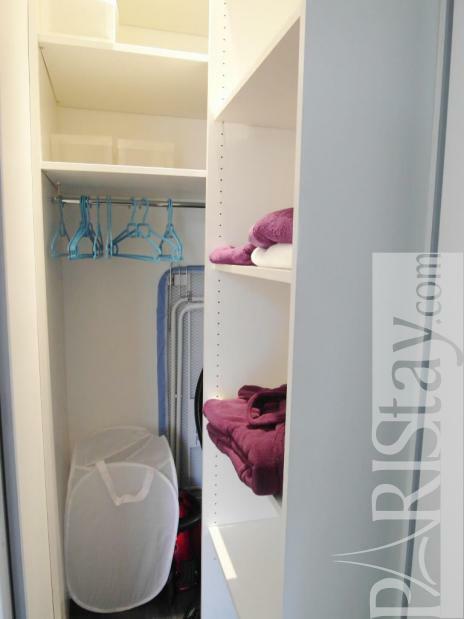 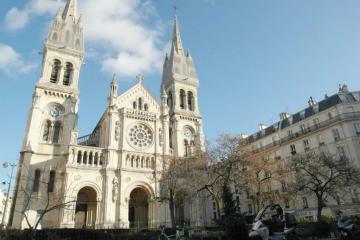 One of our best apartment for rent in Paris. 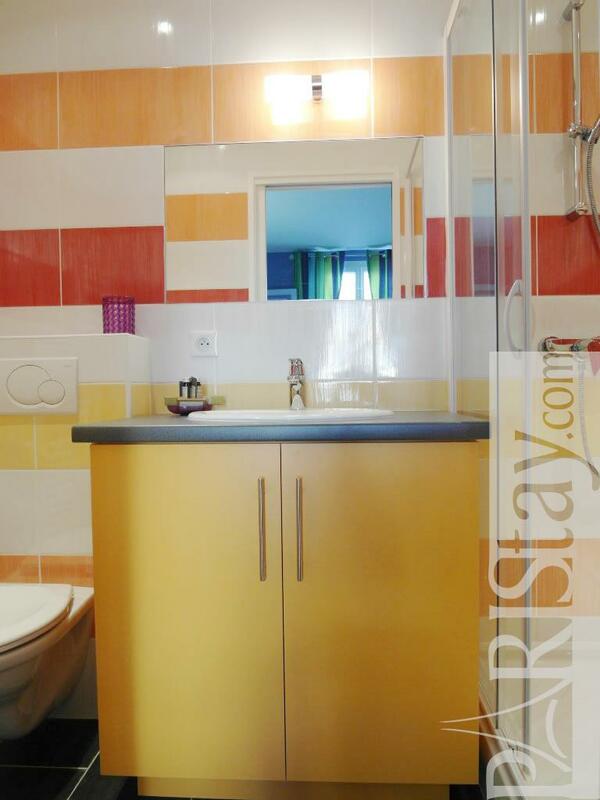 The layout of the kitchen in the living room is just perfect, and the large bathroom and the convenient dressing-room are embedded in the bedroom are a must in architecture which it is ideal for a long term rental. Modern, warm environment with soothing blue shades on the walls. 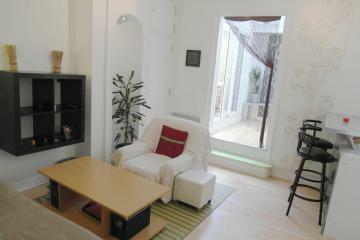 The white furnitures bring quietness and create a chill out space. 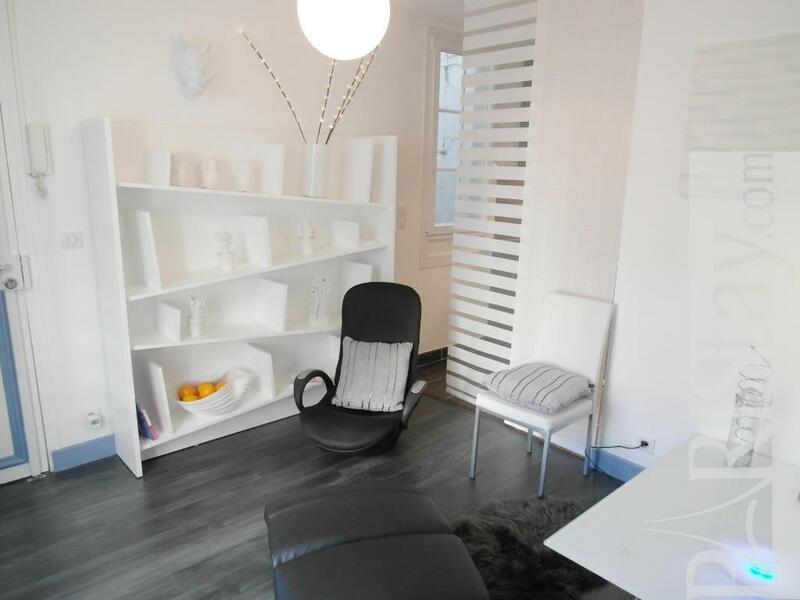 Zen facilities: a real rocking chair with embedded music, essential oils light and mist diffuser, massage books… The up and down white table can be used as a vast working place or dining place, with 4 real beautiful chairs around, among which 2 in white leather. 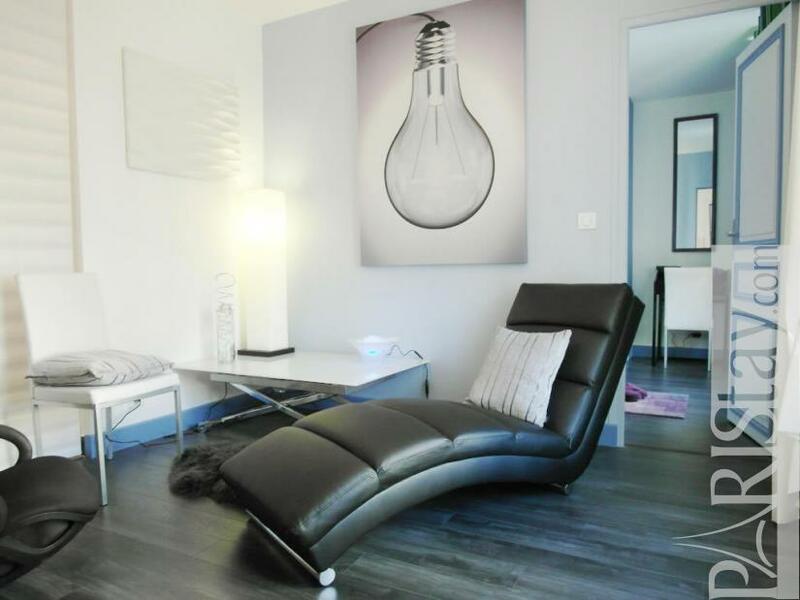 Beautiful zen decoration details, such as a giant light bulbs facing each other (on the wall and on the ceiling), an all-white shelf with all-white decoration, a rhinoceros white head on the wall, white enlightened flowers, a most comfortable psychoanalyst chaise for a real relaxing moment …Daylight all day long, even in wintertime, and the quietness of a "French touch style" courtyard view. A wonderful place to live, that will create memorable moments for those who enjoy coziness and comfort blended with modern style and attention to details". 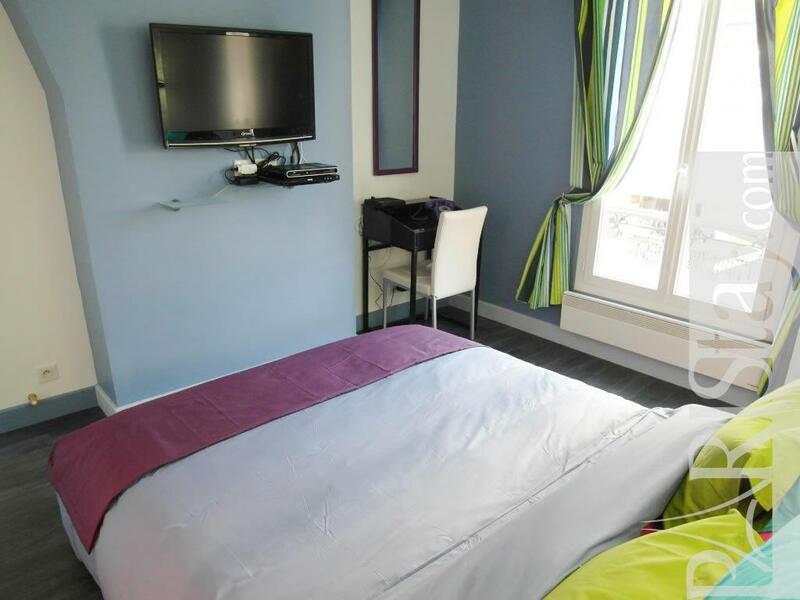 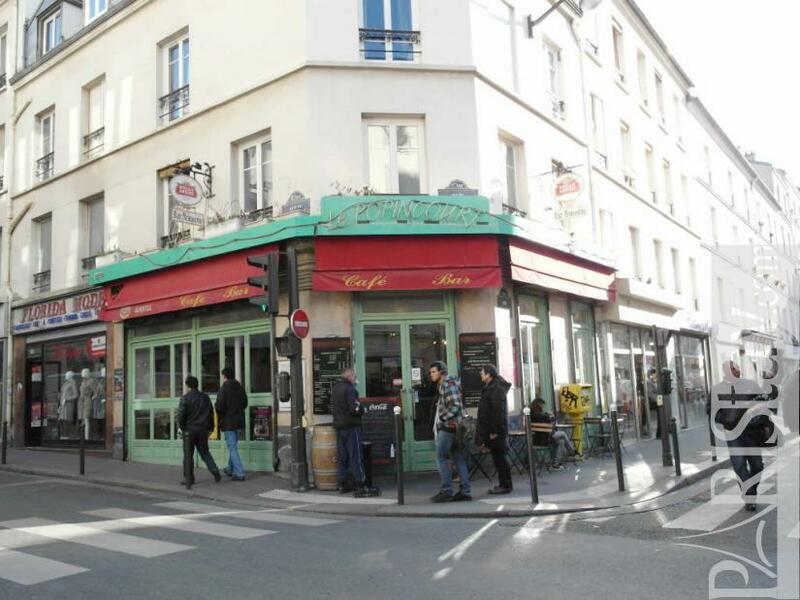 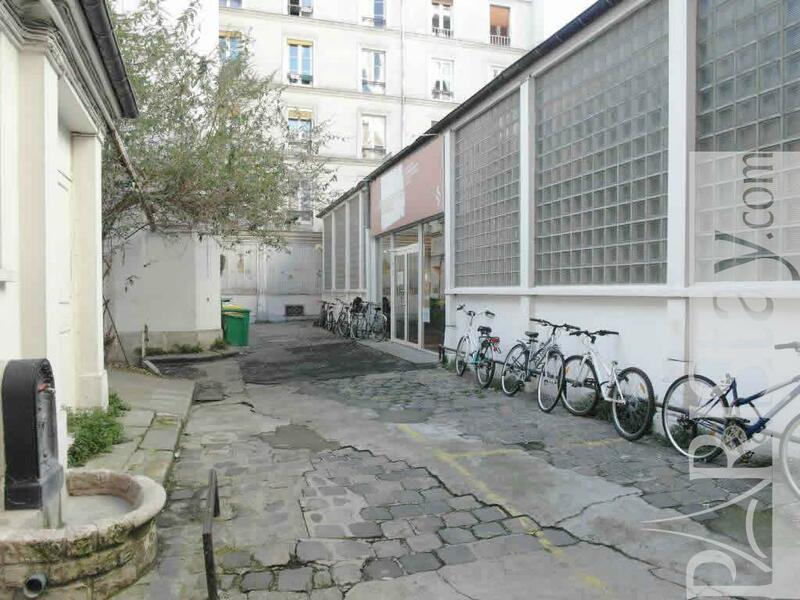 Ideally located near the Canal Saint Martin and the Bastille area, a typical French place that reflects the Amelie Poulain movie ambiance, with restaurants and shops all around, and happy nightlife. 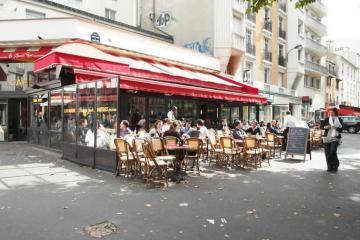 A few steps from the metro and a VELIB station on the street. 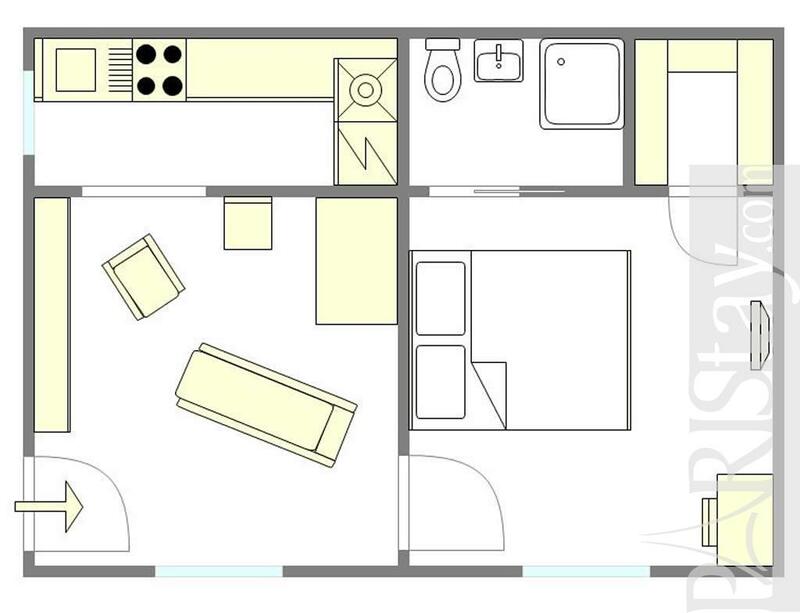 A very clear architecture, with open spaces and no wasted place. 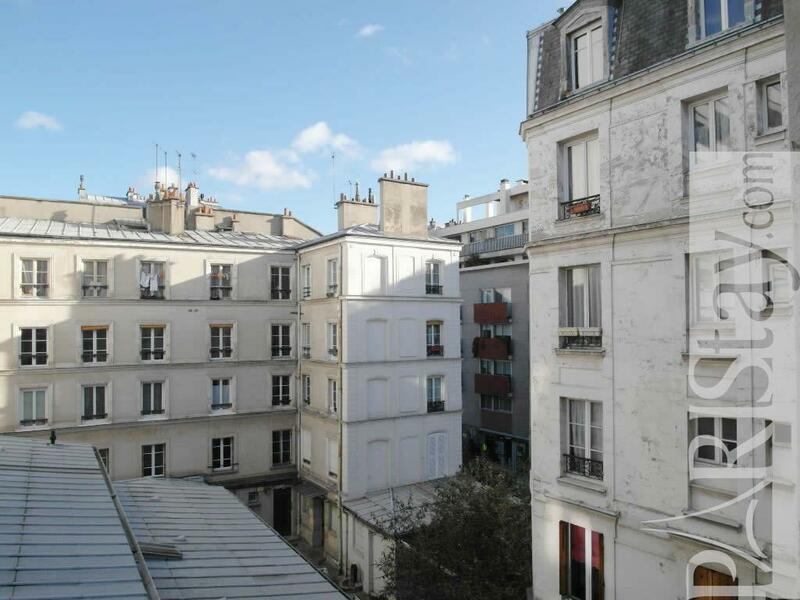 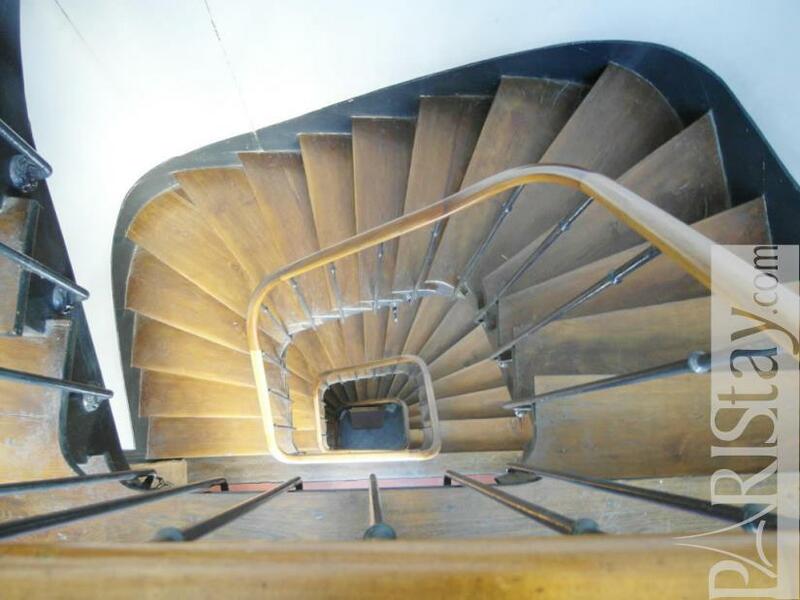 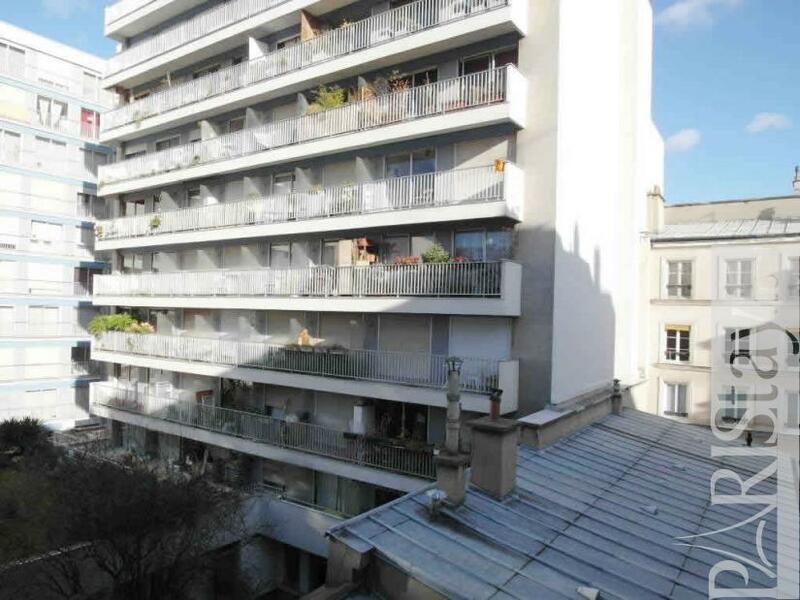 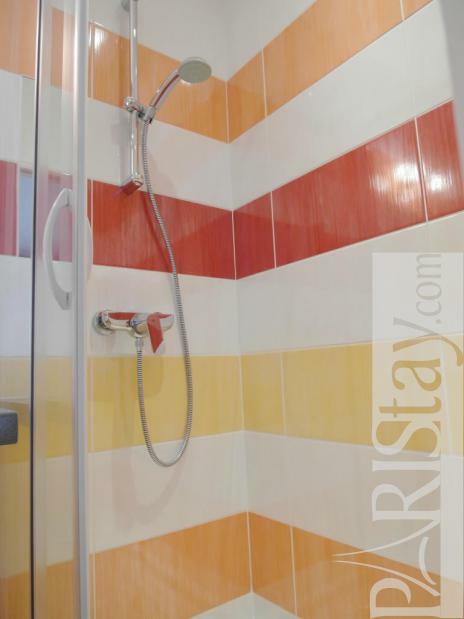 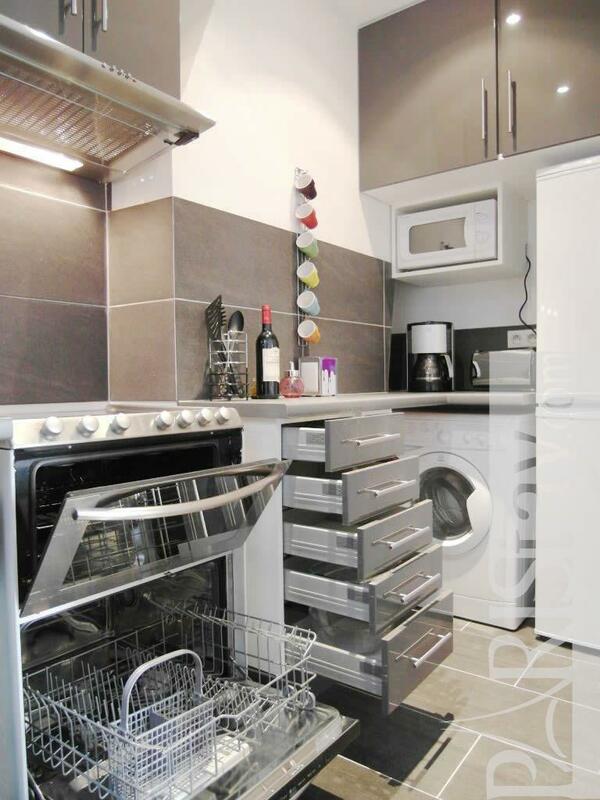 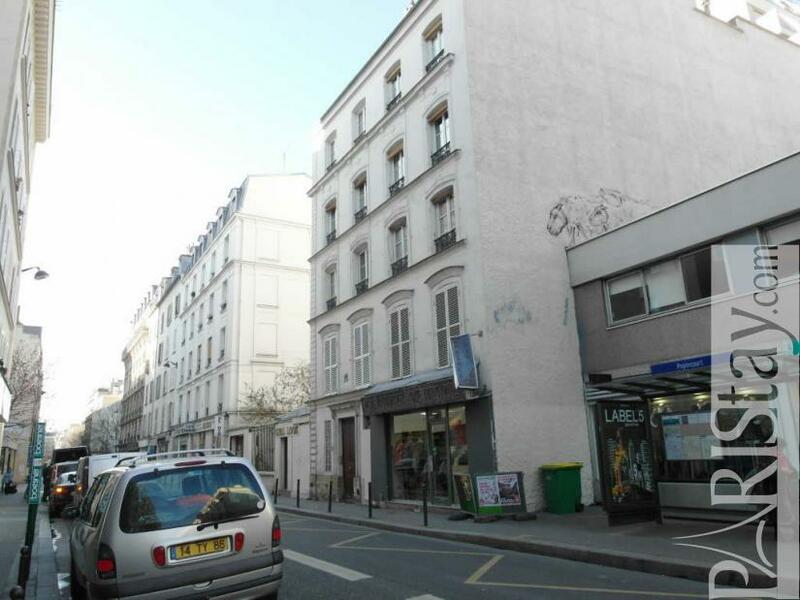 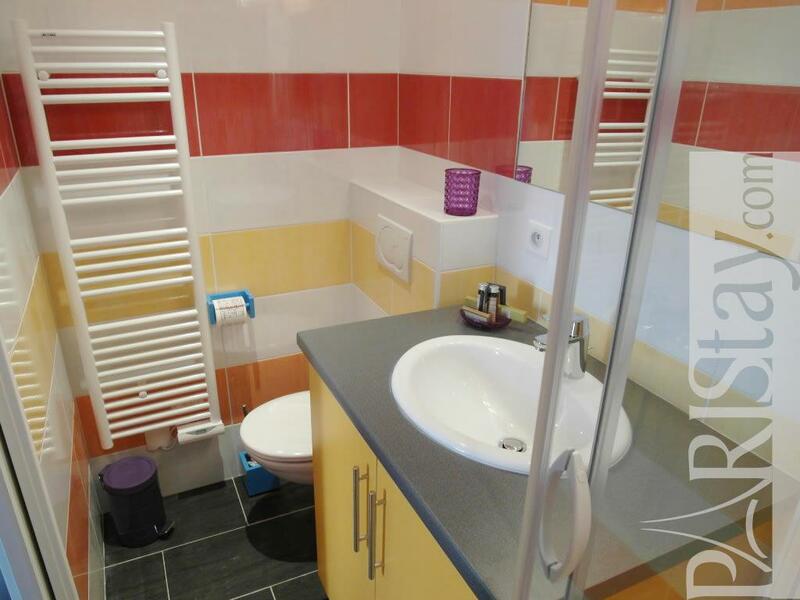 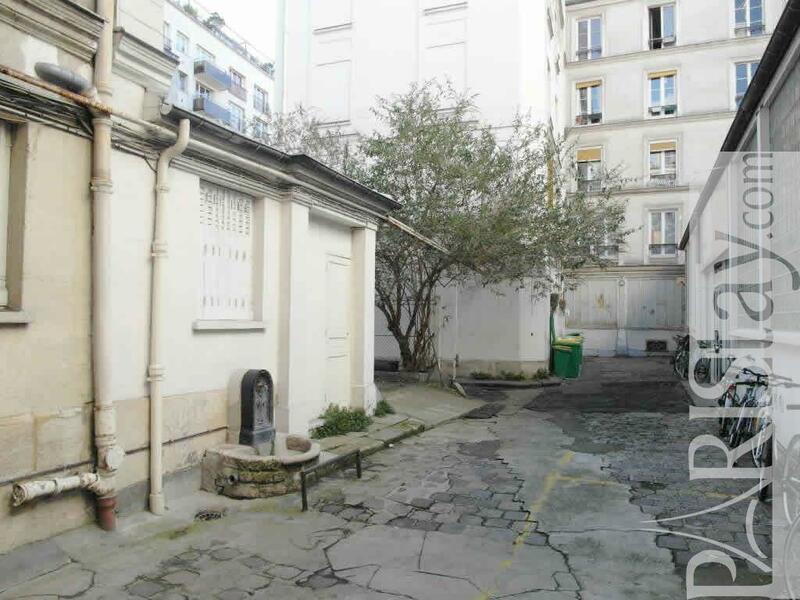 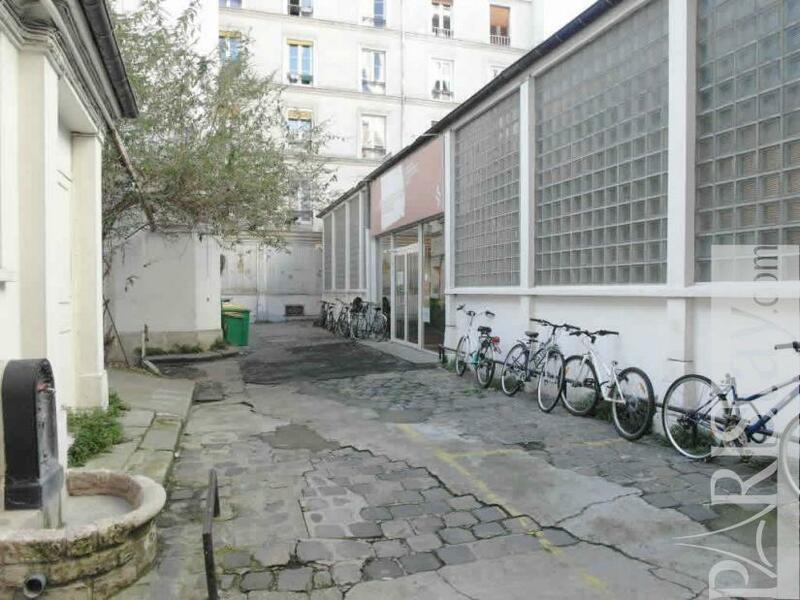 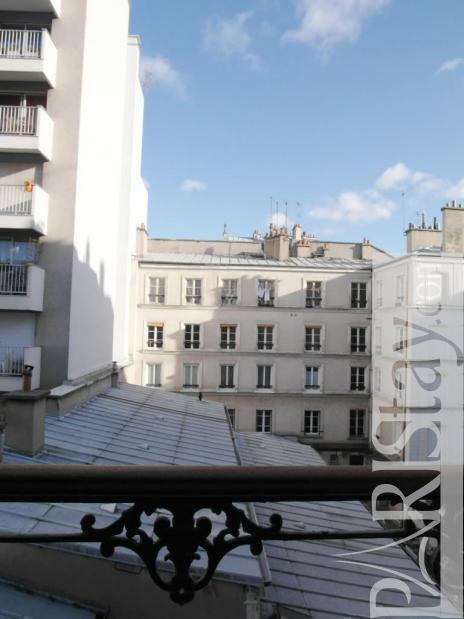 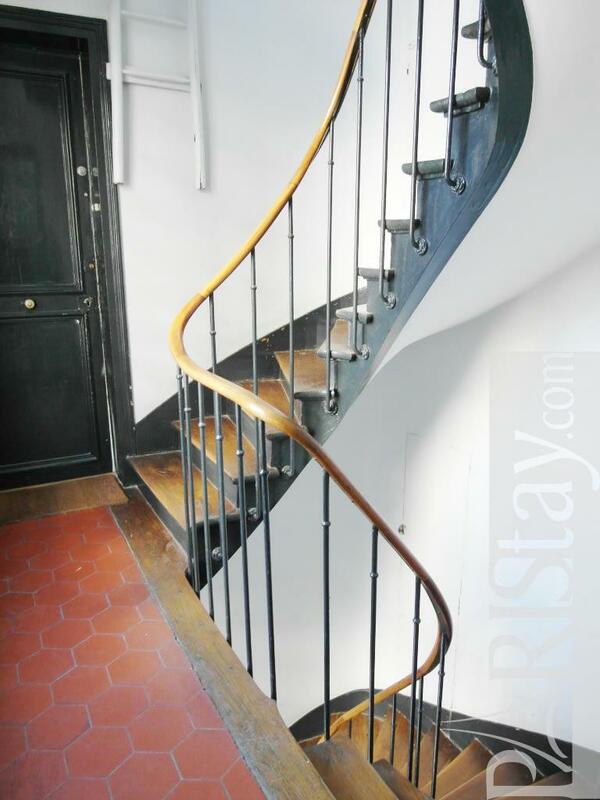 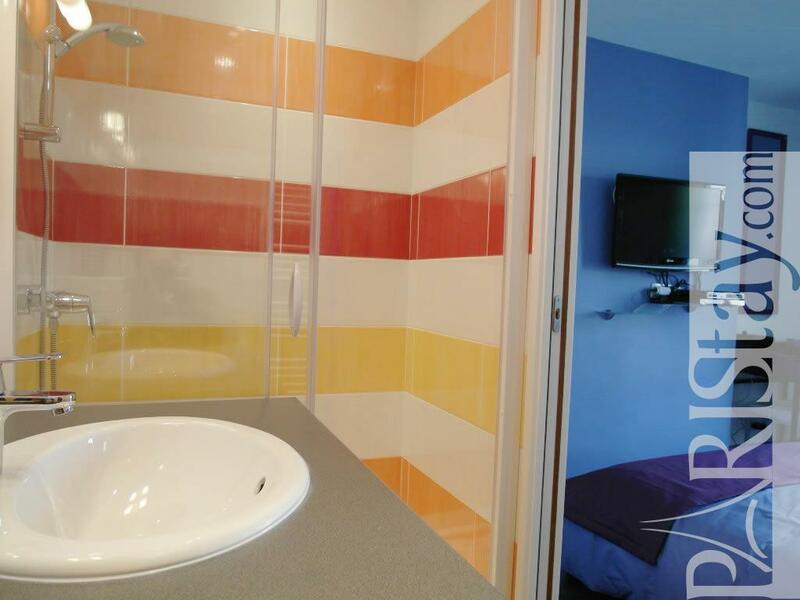 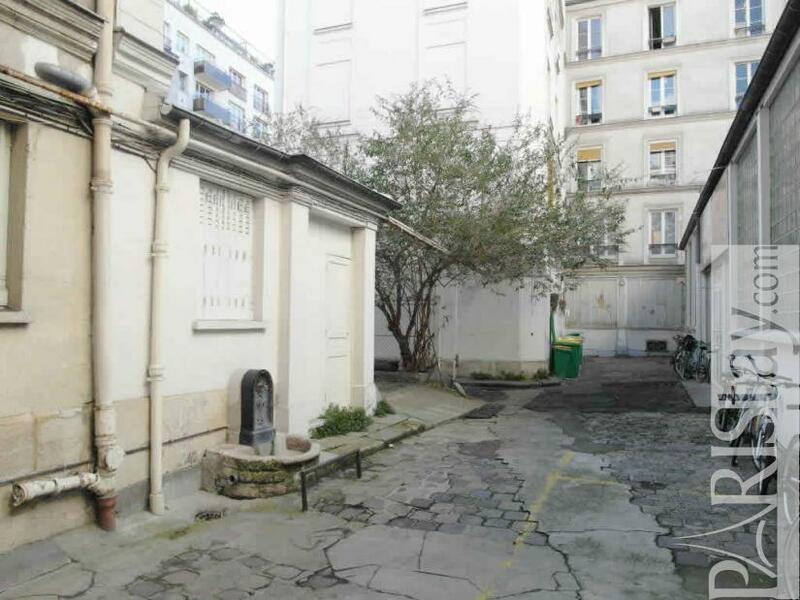 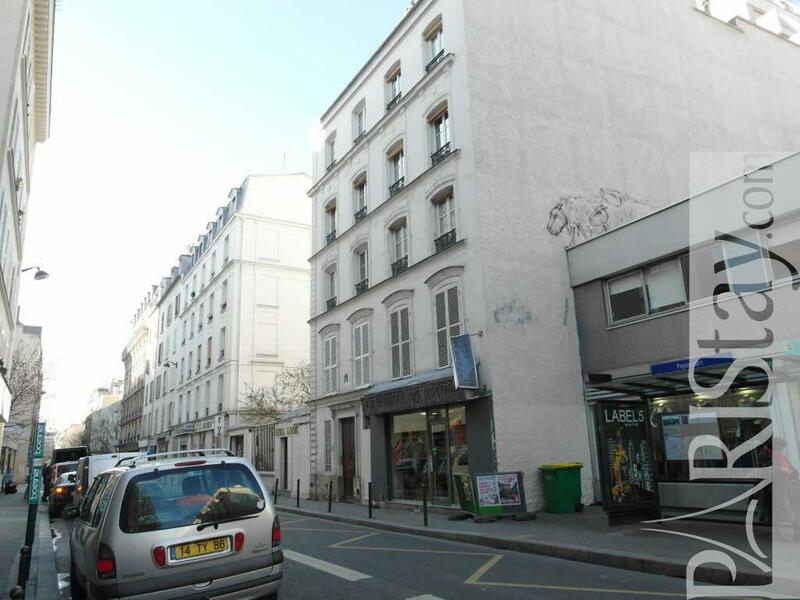 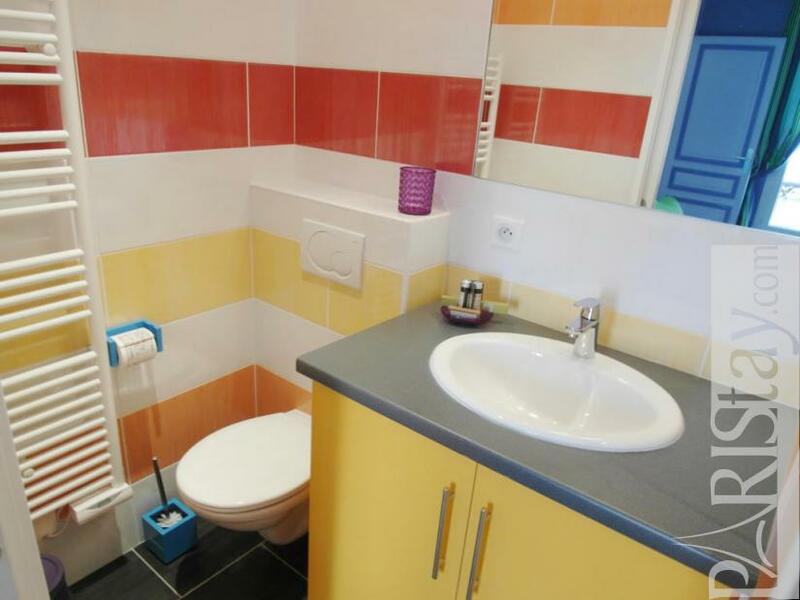 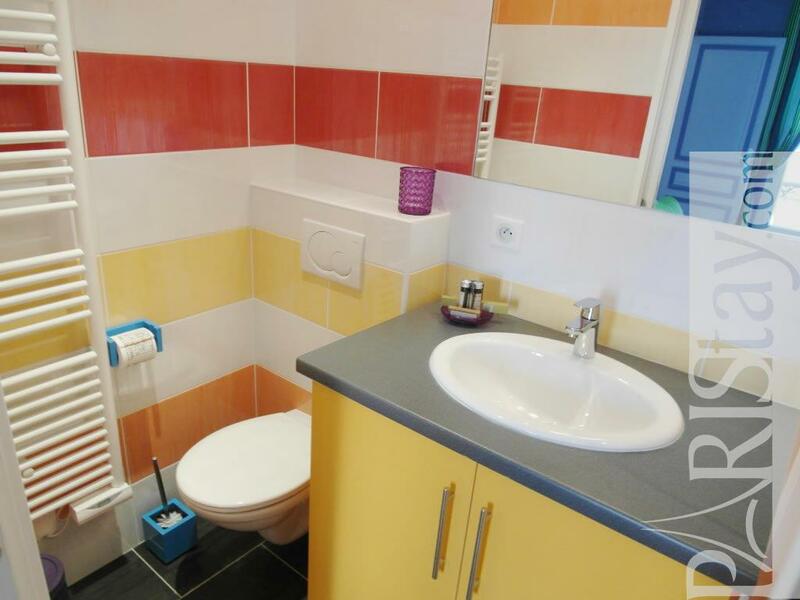 Early 20th's Building, 3 th floor, without Lift, entry code security system, with intercom, 1 bedroom Appartement, furnished, Approx: 29m² / 312 Sq.Ft.